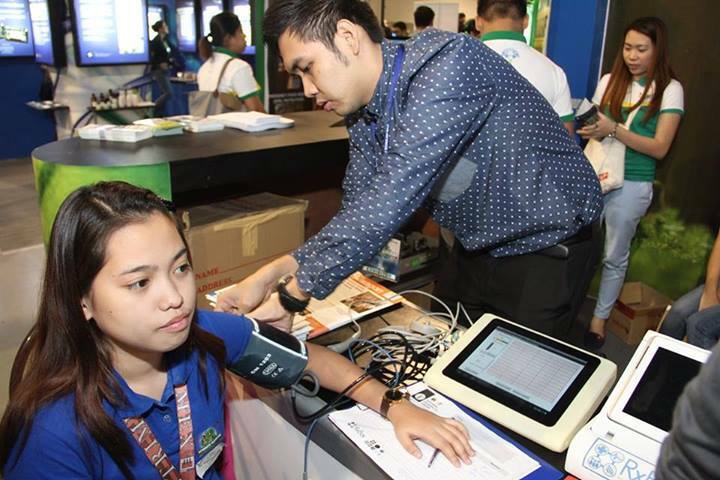 The five-day event that started last July 24, 2014 commenced with the presence of the Senate Committee on Science and Technology Chairperson Sen. Ralph G. Recto, and DOST Secretary Mario G. Montejo as they enjoin the bright minds of the scientific community, as well as government officials, to invest more on Science and Technology research. Sen. Recto and Sec. Montejo also identified the 8 outcomes that the department’s initiatives target. These outcomes are agriculture, enterprise development, industry, IT-BPM, government connectivity, health, education, and disaster preparedness. In his speech, Sec. Montejo mentioned the RxBox as one of the ICT solutions for the health outcome. The RxBox is a biomedical telemedicine device connected to CHITS (Community Health Information Tracking System) an electronic medical record. It also features a telemedicine component under the National Telehealth Service Program. This project is a product of NTHC’s collaboration with the Electronics and Electrical Engineering Institute (EEEI) of UP Diliman, and the Advanced Science and Technology Institute (ASTI) of the Department of Science and Technology (DOST) and is a research program funded by the DOST – Philippine Council for Health Research and Development (DOST-PCHRD). To date, 36 RHU’s have been equipped with the RxBox all over the Philippines.